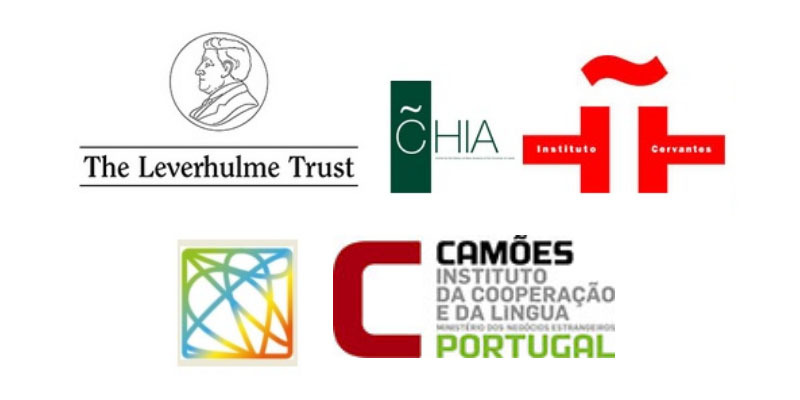 The Leverhulme Trust, CHIA, Institute Cervantes, Camoes. Ever since the colonial period, dominant narratives have represented the ‘natural’ world as a source of capital to be exploited for political power and financial profit. At the same time, however, nature has been viewed as an ungovernable threat, a source of danger, anxiety and otherness that is situated beyond the reaches of human control and impact. Today, as new hazards arise from the consequences of the seemingly boundless capacity of capital to exploit natural resources, the natural world has been brought to the forefront of a number of different and often conflicting agendas. With the rise of environmental politics, the development of "green" economies, a surge in ecological warfare over limited resources, and the spread of cultural concerns surrounding ecological crises, nature has come to represent more of a threat and an opportunity than ever before. In a context in which the turbulence of the new millennium derives largely from the encroaching 'triple crises' of food, finance and energy (Moore 2015), it is no longer possible to ignore the importance of ecological perspectives. Even as the world of scholarship has recognised that 'nature' is largely a cultural construction, citizens across the globe are suffering the very material effects of environmental exploitation that is often justified in dominant narratives. With the endemic drought in the Iberian peninsula, overfarming in Portuguese-speaking Africa, and the increasing presence of criminal actors in the business of resource extraction in Latin America, the symbiotic relationship between culture, capital and the devastation of the natural environment has never called out for more urgent attention. In these times of the intensification of ecological crises, this symposium will evaluate a range of eco-critical perspectives and their role in challenging the exploitation of nature and proposing alternative ways of interacting with the environment, particularly in the emerging and precarious economies of the Hispanic and Lusophone worlds. We understand eco-criticism as an interdisciplinary movement that engages with different concepts of nature from a global perspective. By interrogating fetishized visions of the natural world and the environment, we seek to understand ‘nature’ in all its complexities and different interpretations. Dealing with landscapes, environments, and natural resources as they are mediated in different contexts, we understand nature, above all, as a fluid and changing concept. At the same time, we trace similarities between the ways in which the idea of nature is appropriated in different historical, cultural and geographical contexts. In so doing, we respond to current debate surrounding environmental catastrophes and energy crises, foregrounding Hispanic and Lusophone voices against the dominance of Anglophone scholarship. Find out more at the event listing. Film director Eugenio Polgovsky will join us at the University of Leeds for a screening of his latest documentary Resurrección (Mexico, 2016). The film depicts the contamination of the Santiago river in Jalisco, Mexico (full synopsis below). After the screening there will be a Workshop incorporating critical reflections on the documentary. This screening forms part of the symposium 'Eco-criticism in Times of Crisis: Nature, Capital and Culture in the Hispanic and Lusophone Worlds'. The filming is free of charge, but to help us manage numbers please book your by following this link. If you would like to register for the symposium's other activities, please do so here . The waterfall of "El Salto de Juanacatlán" was once known as the "Mexican Niagara”, a source of immense joy and continuous sustenance for the villages surrounding it. This natural paradise disappeared when an industrial corridor was established across the Santiago River near to Guadalajara. Today its poisonous waters destroy everything in their path, including the memories of the fishermen and farmers who watched their whole world disappear. From among the toxic ruins of the river’s banks, ancient spectres emerge as an echo of a lost Eden. In "Resurrection" one family fights for survival, risking everything to pursue their dream of a return of clear waters. The destiny of a river goes hand in hand with that of a village, and humanity itself.